Rebali Riads Client Comments, Reviews and Testimonials. 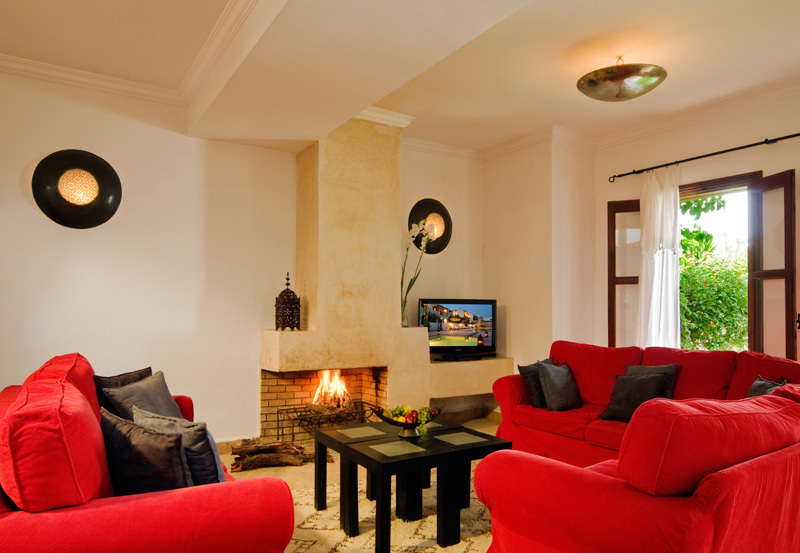 Book Rebali Riads Today with Hip Morocco - Holiday Accommodation in Essaouira , Morocco. 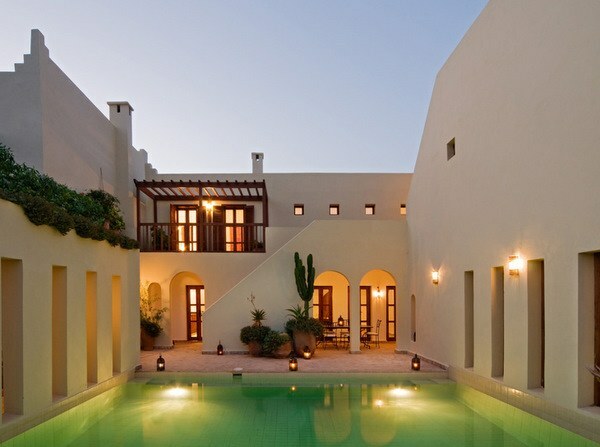 "riads with swimming pools and stunning views. Luxury boutique hotel service with hammam, private dining and roof terraces..."
Rebali combines the space and privacy of renting a villa with the service and ease of a boutique hotel. 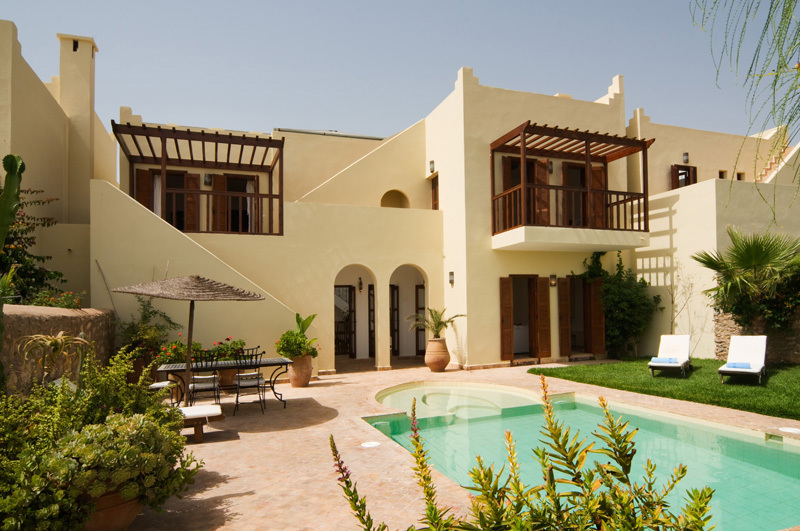 There are 6 riads surrounding the gardens and pools: the three smaller ones share a large (15m-50ft) pool and shallow plunge pool - great for kids or relaxing - and the other three riads have private pools. 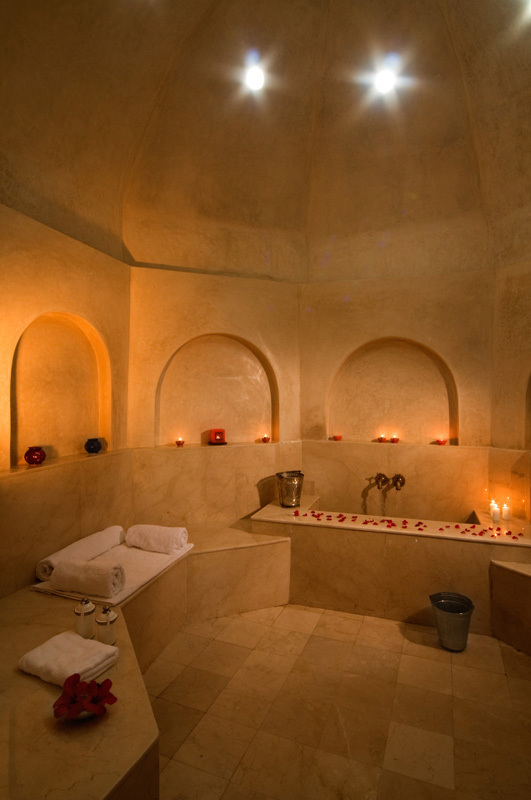 As well as the pools there is a professionally managed hammam with a traditional steam room and two treatment rooms for massages, pedicures etc. 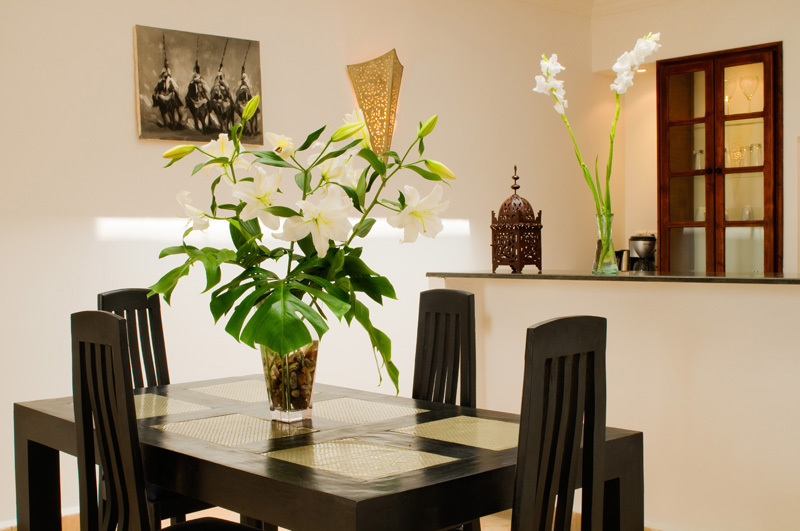 All the riads have fully equipped kitchens so you can make food yourself but there is also a service kitchen with chef who will prepare food for you on request and serve it in your riad, by the pool or on your roof terrace. The chef also runs excellent cooking lessons and demonstrations that include a shopping expedition to the food souks of Essaouira. Breakfast is included in the price for all bookings and there are also a handful of cafes and restaurants in easy walking distance. 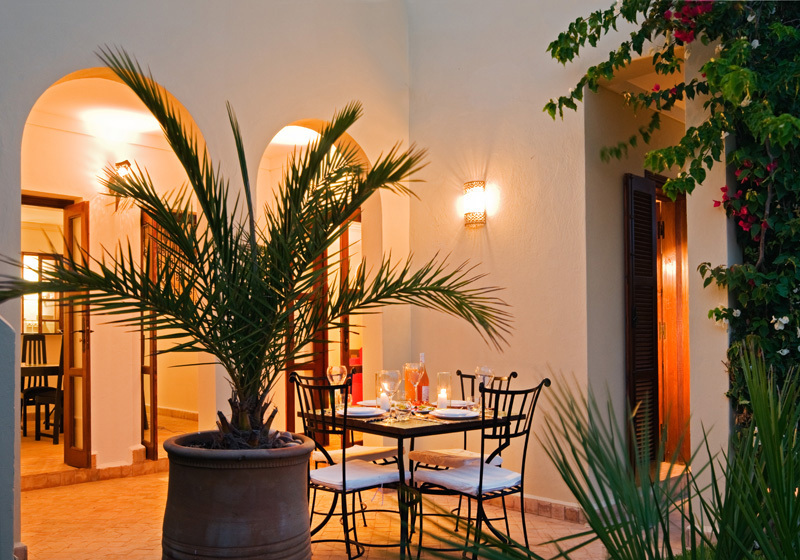 Each riad has a private garden with palms, lawns and terrace, and is equipped with outside dining furniture, sunbeds and exterior showers. There is also a large shared garden with space for a game of boules or to kick a ball. 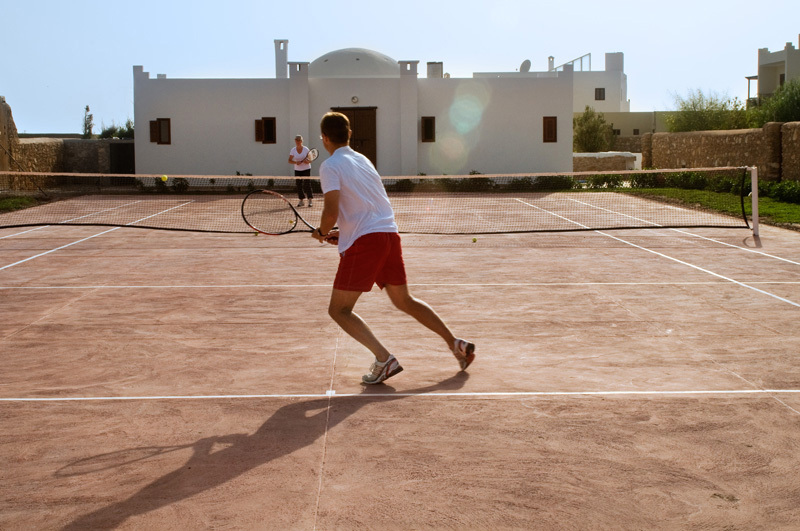 There is a tennis court which is free for guest use and we can arrange tennis coaching on request (best to ask when booking as coach not always available). Whilst each riad is unique they are all designed around an enclosed dining courtyard with a remote controlled glass sliding roof. They also all have roof terraces with stunning 360 degree views of the beach, the sea and the surrounding countryside - a fabulous place to have breakfast or to curl up with a book. 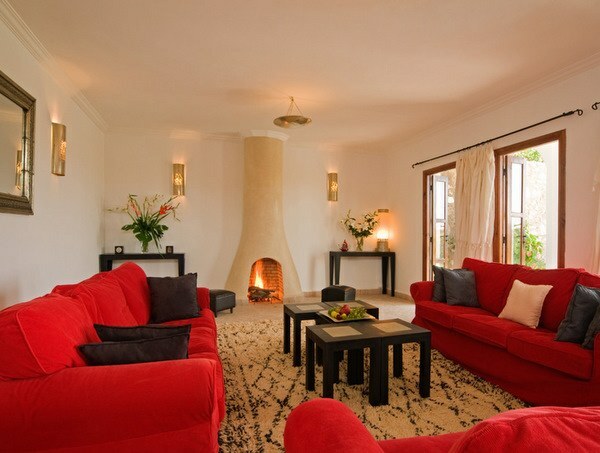 All sitting rooms, snugs and cinema rooms have open fires and there is underfloor heating throughout the villas. Bedrooms have superking-sized four-poster beds (master suites only) or superking-sized doubles that can be converted into two full-sized singles if required. 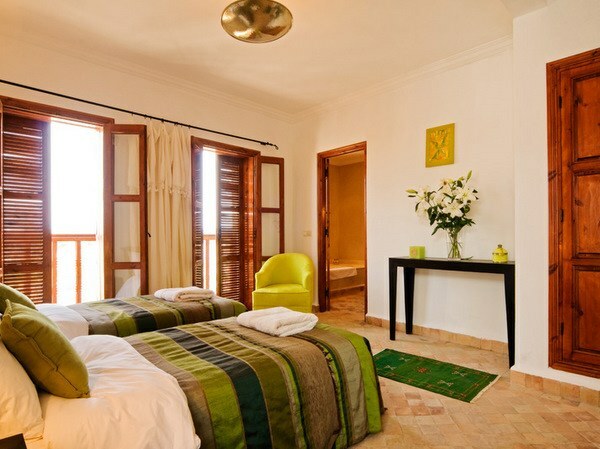 All are equipped with Egyptian cotton bed linen, towels and robes. Pool towels are also provided. 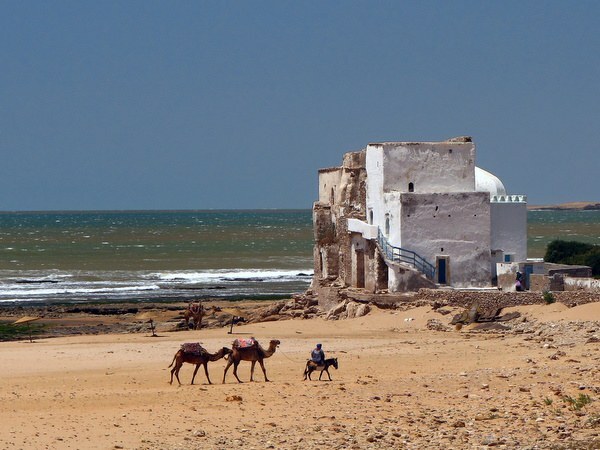 There is plenty to do in Sidi Kaouki itself with many cafes and restaurants within walking distance as well as the beach with watersports, camel and horse riding and scope for fabulous walks. Essaouira is a 25 minute drive away (£8 in a taxi) and has fabulous shopping in the souks and an abundance of restaurants to suit all budgets. There is a golf course around 15 minutes drive away and a vineyard to visit to sample wines and eat in their restaurant. Breakfast options change daily. Freshly prepared meals can be arranged upon request. Perfect to escape the stress and embrace the holidays feeling fully relaxed. Only operate a few weeks a year. "This was a lovely place to end up at. Mohamed and Meryama and all of the staff were, again, lovely. Martha wasn't very well one evening and the chef was very kind helping us out, and lots of people asked after her the next day. So because of that the children only managed to surf once, but that was very straightforward. they hired boards from the chap in the corner of the square, who was very nice and helpful. Morgan had a chance to skateboard too, having dragged it all around Morocco! It was fun and relaxed and, from my point of view, with the ladies who cleaned, etc, I really couldn't have been looked after better - I felt terrible! I am getting on with it now I'm home though!" "Rebali - a gorgeous place. All staff extremely helpful and accommodating. The food was delicious and well-priced. Mint tea and home-made cake was a lovely daily event with a very special cake made for us by Fatima on our wedding anniversary ( plus " Christmas " decorations in our room ! ) 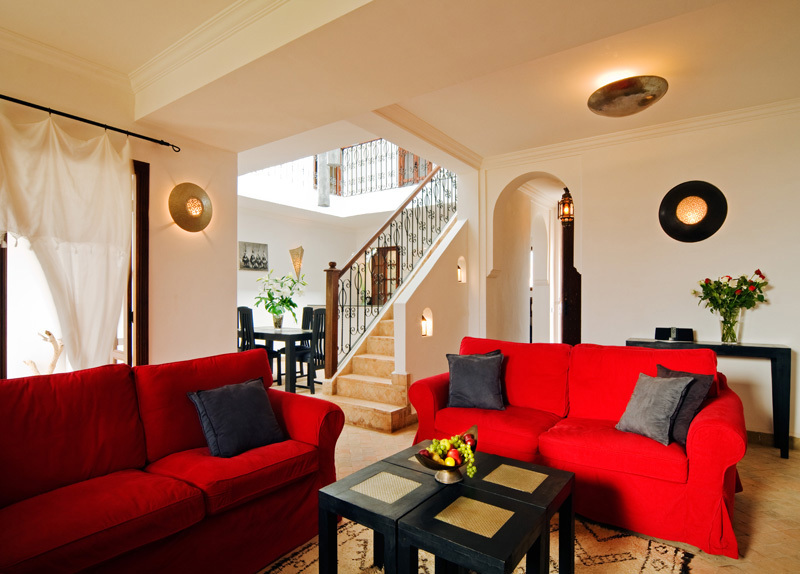 Would be great to have the whole riad with family or friends." "It was all absolutely fantastic. I would recommend to anyone else to eat as much as possible in the Rebali Riads and to go to shop in Essaouria with the chef - we didn't have time but will do it next time. The visit to the local school and Berber lunch was excellen"
A short walk from the sandy beach of Sidi Kaouki, in this small Berber village, populated with a few seafood restaurants/ cafes, surf shaks and a population of relaxed laid back locals. 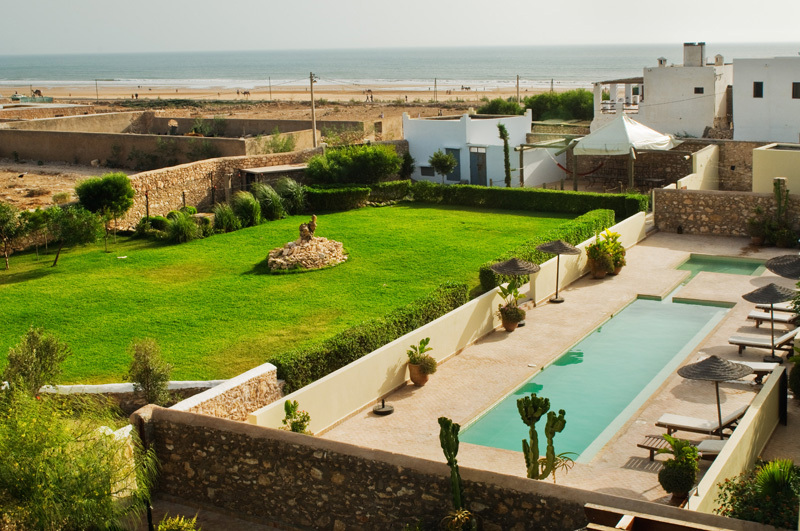 Sidi Kaouki is a 15 minute drive south of Essaouira. 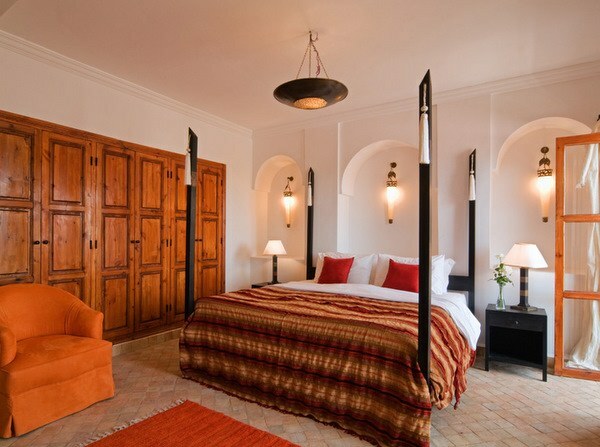 The largest of the Rebali Riads, it is built around three inter-connecting courtyards and has four suites as well as a cinema room which can be made into an extra bedroom if the riad is booked exclusively. There is private swimming pool, large garden and roof terrace with fabulous 360 degree views over the village and the beach. Available by room or as a whole house rental | 4 rooms | sleeps up to 10 guests. 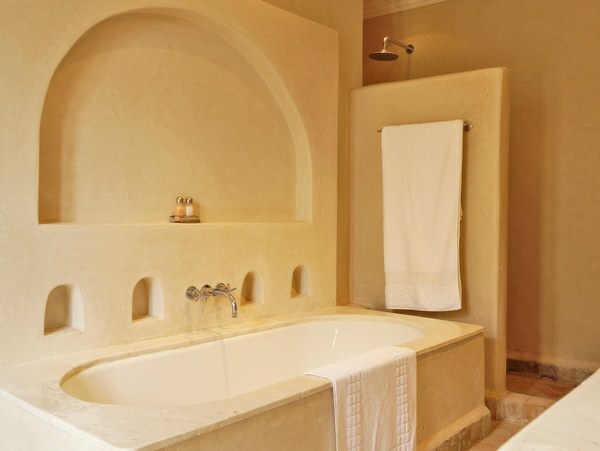 You can stay in one of the three suites in Riad Sila or take the whole house for up to 8 people. The riad is designed around a 14m (45 feet) open plan sitting and dining room under a triple height void with a remote-control glass sliding roof at one end. Outside there is a good sized pool, private garden, patio and roof terrace with amazing views. Available by room or as a whole house rental | 4 rooms | sleeps up to 8 guests. 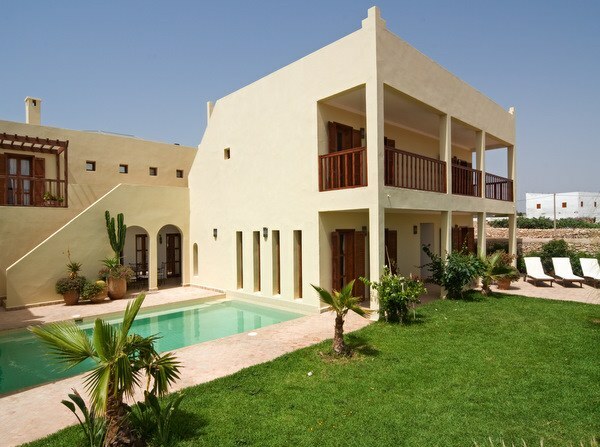 A three bedroom riad with beautiful private pool and large enclosed garden - the perfect family holiday villa. There are 3 double bedrooms and 2 bathrooms (master en-suite), a spacious dining room and living room with fully equipped kitchen. There is also an outside dining area and a private roof terrace. Available as a whole house rental | 3 room | sleeps up to 6 guests. 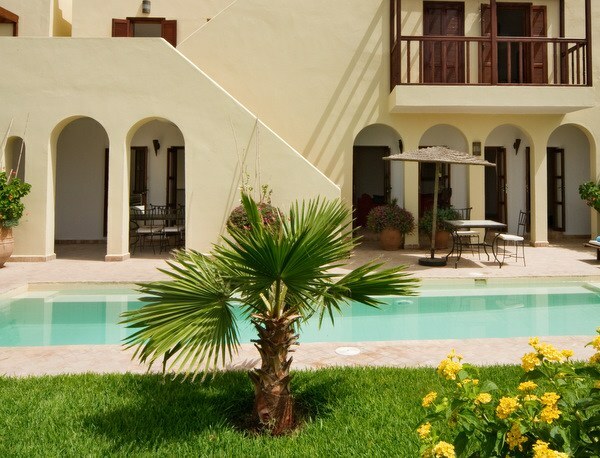 Dar Jeseli overlooks the main pool and has two ensuite bedrooms leading from the galleried landing. The villa is designed around a triple height dining courtyard with a remote control glass sliding roof. There is a fully equipped open plan kitchen and sitting room with fireplace and TV. Outside there is a private garden and stairs up to the roof terrace. Available as a whole house rental | 2 rooms | sleeps up to 5 guests. 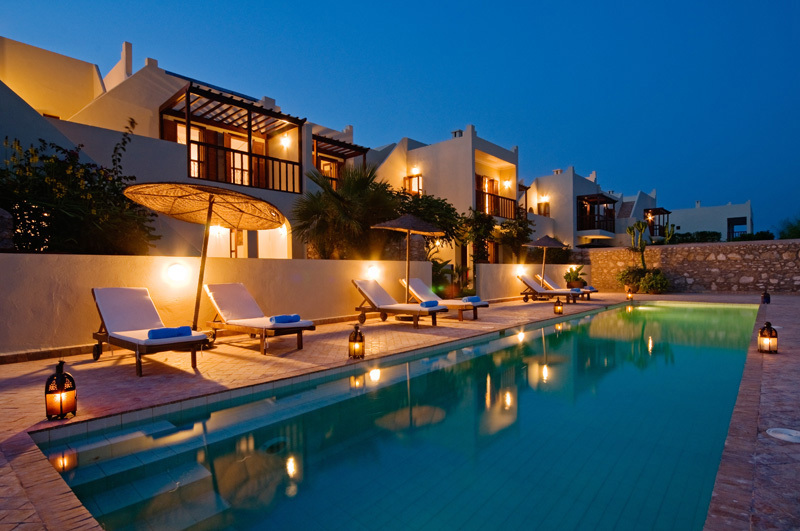 A two bedroom riad-style villa overlooking the main pool with fabulous views of the sea and surrounding mountains from the bedrooms and from the private roof terrace. The villa is designed around a triple height dining courtyard with a glass remote control sliding roof. Outside is a patio and garden leading to the pool. Available as a whole house rental | 2 rooms | sleeps up to 4 guests. 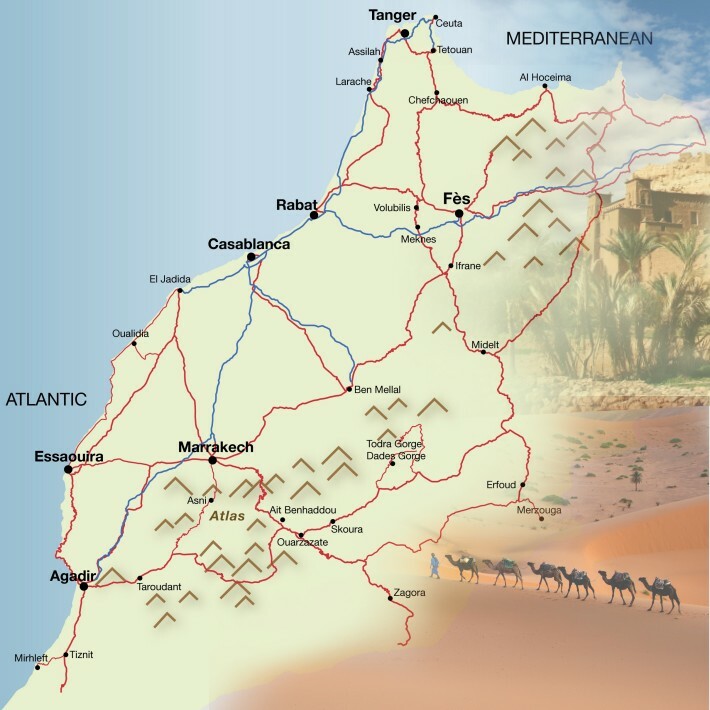 The base rate price at Rebali Riads is in pounds, euros, or Moroccan dirhams and exchange rates are approximate.